We give you a few ideas to start the new season with a bang, under the astro king or the starry sky in the Old Continent. For some it marks the longest day of the year, although is not quite correct, for others it marks the beginning of the summer season and for some is called midsummer. But what is the Summer solstice? At this time of year the North hemisphere receives more sunlight as the result of the Earth´s north-south axis being tilted 23.4. Hence during the Winter Solstice, the northern hemisphere is the farthest (?) from the sun that is why it tends to be the shortest day. While on this date around the 21 of June, the Northern Hemisphere is closer to the sun. Etymologically the word solstice comes from Latin sol (sun) and sistere (stopped, stationary, still). On those parts of our beloved planet Earth, it truly means the beginning of life. Probably one of the most popular celebrations of Summer solstice is undoubtedly the one taking place in Stonehenge, England. The monument was built in 3000 - 2000 B.C, there are numerous interpretations for this monument; from a tombstone, an altar for sacrifices or a gathering place for several rituals. Heel Stone and Stone 16 are the two stones that mark the point where the sun will be rising during the summer solstice. Rising majestic between these two monoliths that according to archaeologist Mike Pitts were there millions of years before the arrival of humans. 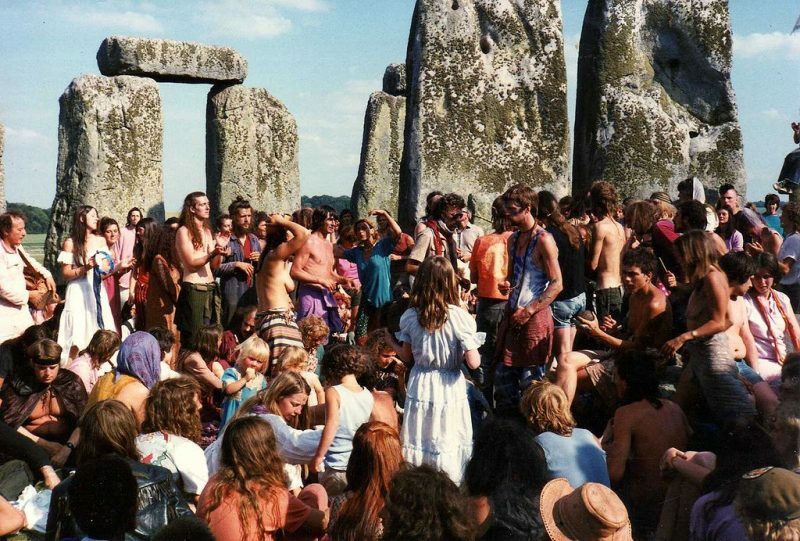 The Stonehenge Free Festival was a British free festival from 1974 to 1984 held in the monument during the month of June, with the culmination of the festival on the summer solstice. Viewed as many as a festival for hippies. However nowadays The Stonehenge Summer Solstice Festival takes place from the 18th to the 12st. 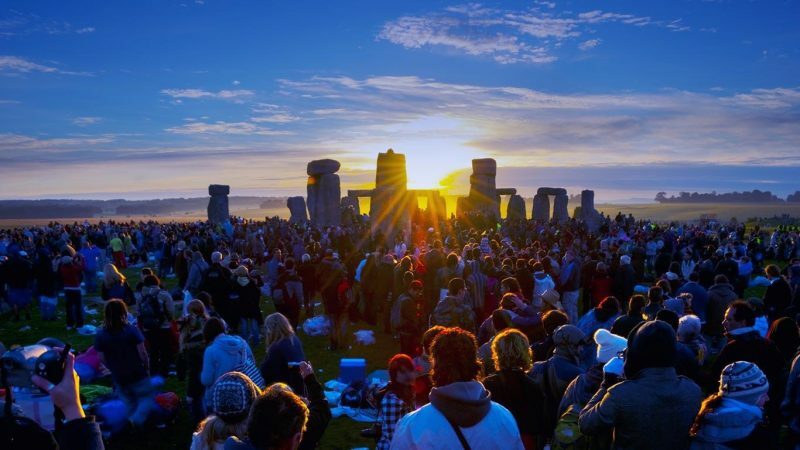 Around 13, 000 people gathered in this pagan festival to celebrate the solstice and witness the sun rising according to British newspaper the Independent. Things to do in the UK during the month of June. During Celtic pagan times everything pretty much revolved around the movements of the sun. Setting up a calendar based on the Equinoxes and the Solstices. 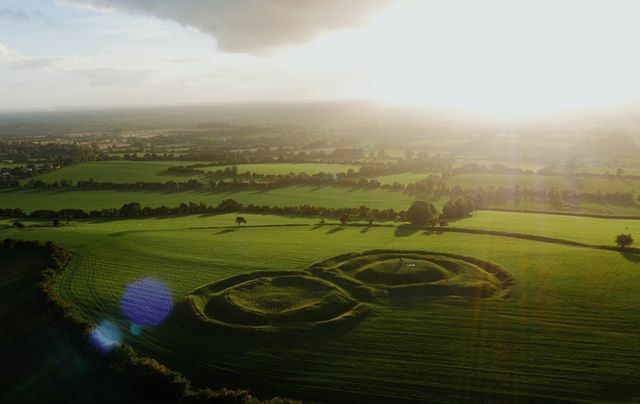 The celebrations of the longest day of the year in Ireland, date back to 6000 years having crowds gather at the Hill of Tara, in Meath County, Ireland. The Hill of Tara was the seat of the High King of Ireland, atop of the hill the Lia Fáil, or Stone of Destiny. The summer solstice is one of the eight sacred days in Ireland, according to Celtic tradition. Things to do in Ireland during the month of June. Sant Joan in Menorca, is one of the many celebrations for summer solstice in Spain, especially so on those cities or villages by the sea. The element of fire is present during the shortest night that welcomes the solstice. Having its origins in Celtic pagan celebrations, it was due to very religious king Clovis that the holiday was Christianised during the 5th century and was named Saint John Day, after John the Baptist. 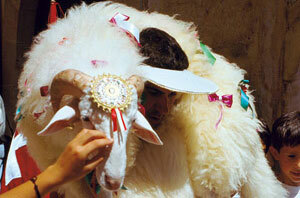 It is a tradition that dates back to the Middle Ages. Things to do in Menorca during the month of June. For Galicians, San Xoan (San Juan and also called Litha) takes places in many places around the region, as it is as important. It is believed to be one of the most magical nights in Galician folklores, a night of meigas (Galician witches). There are bonfires in every main square of each town or along the beach stretches, with sardines being grilled (the typical dish for the night). Nobody sleeps during San Xoan night, as it is believed that the gates to another world are open. 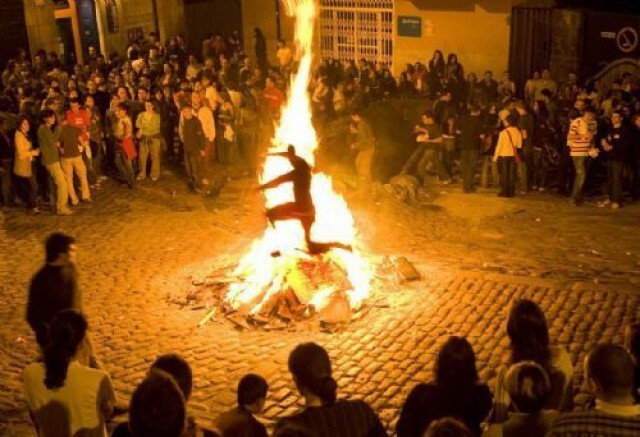 Jumping over the bonfires is a must for the bravest and it could be interpreted as a sort of human sacrifice. But the tradition has it that you have to jump nine times over the bonfire to protect yourself from evil spirit. You can also collect herbs, the so-called Herbas de San Xoan and leave them in water all night. Then you can head to the beautiful Islas Cíes to see the sunrise on the longest day of the year. 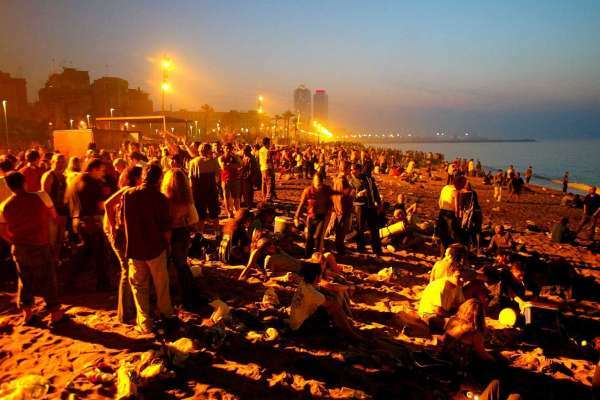 And the same goes for our beloved Barcelona, in Catalonia the summer solstice is also just as celebrated. Sant Joan cannot be missed, as there will be fireworks and fires almost everywhere. People gathering at la Barceloneta (Barcelona´s beach) celebrating drinking cava, drums playing on the streets, people dinning or heading towards la verbena. The Nit de San Joan, is yet another wonderful time to be in the capital of Catalonia. Things to do in Barcelona during the month of June.